More of his photos can be found here. The time has come where we need to re-define the world we live in. We find ourselves at a time in history, where despite a world with endless potential, we are mired in war, poverty, environmental issues and where many people’s human rights remain unrealized. A world where we have over 30 million people living as slaves. A world where the equality, dignity and freedom of too many people are compromised. The foundation of human rights is the notion that every person should live in equality, dignity and freedom. Towards this end, the global community recognized that it had to go far beyond simply prohibiting genocide, but instead develop a vision which protected the civil, political, economic, social and cultural rights of all people. Our local and global conversations are stuck in the all to familiar thoughts of war, economics and arguments surrounding the denials of climate change or protecting what we have at the expense of others, our freedoms and our liberties. Can it even be possible we believe that building a wall around a home, a city or a country increases our freedom? Is it possible in a world that is blessed with the knowledge and ability to solve the world’s most complex problems will allow humanities frailties, our fears or those that fear monger, to triumph. Is There a Monster Under our Bed? Negative campaign ads are nothing new. They have been part of our politics for far to long. In this election however, negative campaigns have taken a different twist. Fear has become a major theme. Fear of others, fear of the future and fear of change. This is not unique to Canada. Politicians in Australia, England and now Canada have used Australian born Lynton Crosby as their political strategist. All three of these campaigns have been divisive and been about race. All three of these elections made people feel their country was not safe. Invasion was imminent. Change in itself can be fearful and bring about doubt. Then when faced with customs or beliefs that are unfamiliar or we don’t understand can in itself raise our fears. It is easy for someone to play on those insecurities to plant seeds of fear into our minds. Despite what we are being told there is not a ‘monster hiding underneath our beds’. I am the only one who will keep you safe. No one else can take care of you. This is the election that our current government is running. This is the strategy that Lynton Crosby has used in Australia and England. Our Prime Minister knew that when he hired him and he still hired him. That in itself says something. When it comes to the economy we are told only my way will keep you safe. Looking at the evidence indicates it has not worked for the majority of Canadians. We have not been allowed to have the discussions we deserved. We have not talked about those important issues that our country is facing. We have not even had the debates about issues that we have needed to have. It is used to raise fears and avoid the important conversations that need to be had. A diversion to avoid talking about the economy, the environment, violence towards all woman; in particular women in poverty which is disproportionately represented by aboriginals. We are not talking about household debt, student debt, youth unemployment, human and physical infrastructure. Our current government has put all their eggs in one basket believing that the answer to a complex economy, complex environmental and social issues is lower taxes for corporations. We are somehow made to believe if we lower taxes life will somehow magically be better. If that were true, why isn’t every country doing this? What lower taxes have accomplished is to give lower taxes to ‘Corporations’. Lower taxes haven’t created jobs; not full-time jobs anyway. The fact is simple the health of a society is measured by more than just low taxes and GDP. The health of a society needs to include policies to create a sustainable future for our country. 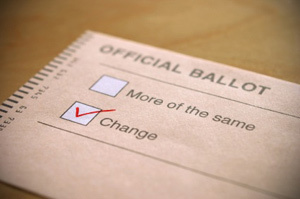 We all; including myself; have not raised the issues that point to the reason it is imperative we vote for a change. We need a government that recognizes the need for economic, ecological and social policies that create a strong healthy society. We need a government and a society that works together to create an inclusive future for all Canadians despite race, gender or social circumstance. Will You Vote to Save My Canada? 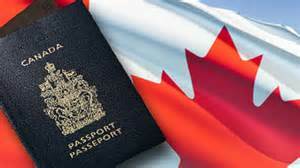 Even countries as multi-cultural as Canada have an identity. ‘My Canada’s’ identity is founded on certain cultural beliefs and values that serve as the cornerstone of who we are as people. 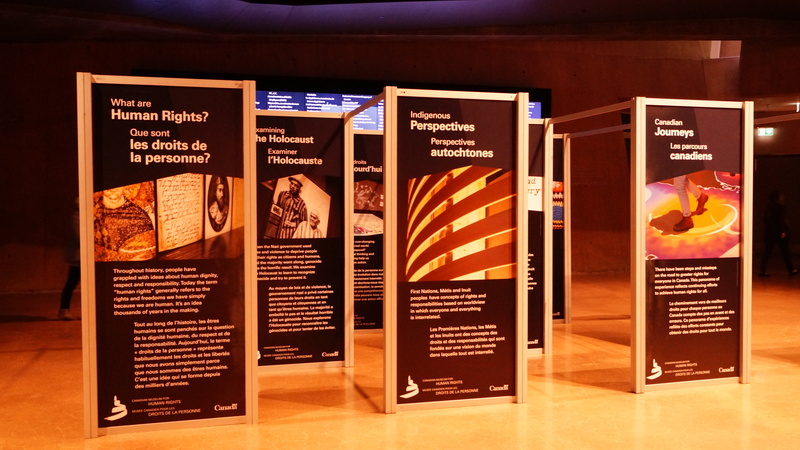 The Canadian Charter of Rights and Freedoms enshrines these values we have as people. How do we stay true to My Canada? How do we not let fears, racism, intolerance lead us away from the ‘My Canada’ we have worked so hard to build? 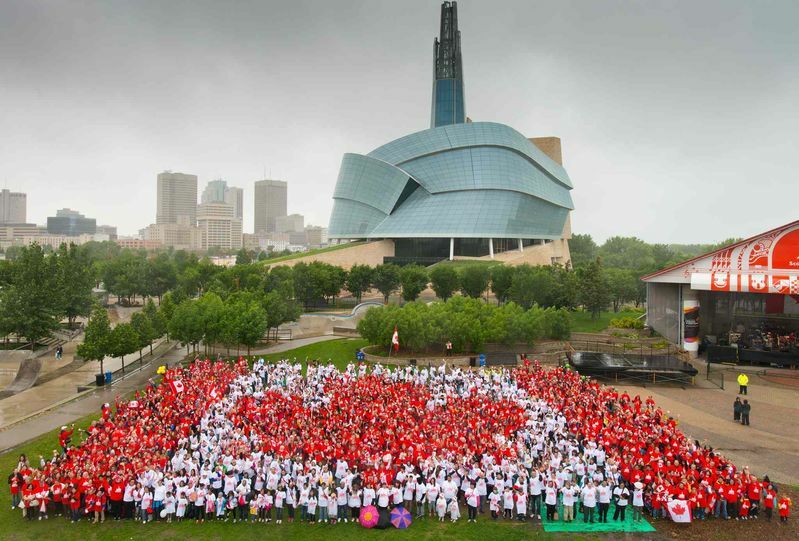 Whether we live together in confidence and cohesion; with more faith and pride in ourselves and less self-doubt and hesitation; strong in the conviction that the destiny of Canada is to unite, not divide; sharing in cooperation, not in separation or in conflict; respecting our past and welcoming our future. a country with a vision for a society based on human rights. one where we defend and protect the human rights of all Canadians through the creation of policies that strive towards an equal and just society. one that recognizes the right of all global citizens to be afforded the opportunity of peace. one that will stand-up though negotiation and dialogue in helping create and maintain world peace. a country of peacekeepers and defenders of human rights. a place where we remember our veterans, our ancestors who fought hard to create a country where we recognize the human right of equality for everyone. I am a proud Canadian, but also a Canadian who is concerned some of our identity, our culture is being lost to a Prime Minister who does not put the safety and dignity of all Canadians, of all people into his policies. A Prime Minister whose actions jeopardize our Charter of Rights and Freedoms. creates an increasingly large gap between the wealthiest Canadians and the rest. creates Tax Policies that even his former finance minister believed favoured only the wealthiest of Canadians and was unfair. ignores issues surrounding the human rights of women and children who are victimized and find themselves marginalized through poverty. continues to ignore the issues of tax fairness by not holding companies accountable to the creation of full-time jobs for Canadians in exchange for decreased tax rates and continues to ignore the hording of capital in off-shore accounts. ignores the right of all Canadians to an education, health and fair and equal work. ignores the government’s responsibility for protecting the enshrined human rights of all Canadians. In Harper’s Canada fairness is no longer the reality. 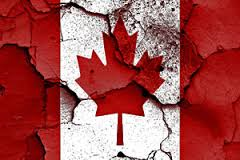 In Harper’s Canada we are at risk of losing all we have worked so hard to achieve as a nation. We are at-risk of losing our identity. On Election Day, I will remember all those brave Canadians who sacrificed and continue to sacrifice so much to create ‘My Canada’. I will remember their courage, their sacrifice in order to ensure I live in a country where every individual is respected, valued and guaranteed the rights enshrined in the Canadian Charter of Rights and Freedoms. 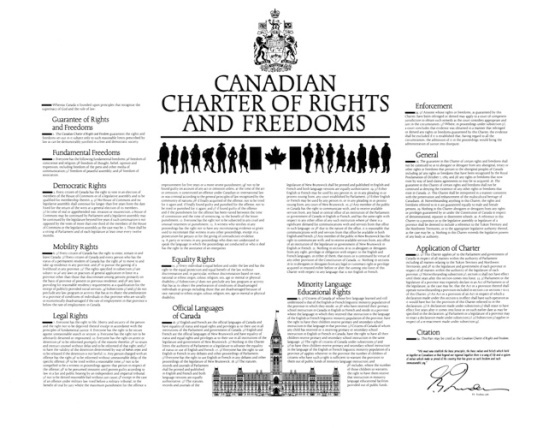 I will vote as I remember that sometimes the greatest threat to ‘My Canada’ does not come from the outside, but rather our greatest threat to our rights enshrined in our ‘Charter’ can be found right here at home. I will not stand by and do nothing as the values of ‘My Canada’ is destroyed. My vote will do something because my vote is to save ‘My Canada’. Election Canada: Democracy at Risk? The Syrian Refugee Crisis is considered the most devastating refugee crisis since the Second World War. The UN High Commission for Refugees says there are four million registered Syrian refugees, though that number is almost certainly low. We often consider ourselves an evolving society. A society that learns from past injustices as we move to a society that is founded on basic democratic principles as well as the universal values of human rights. 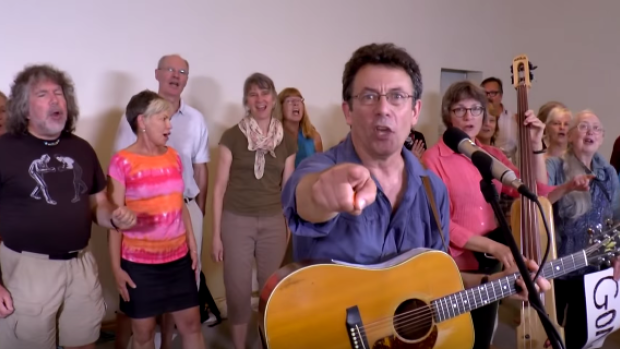 If we are learning anything from the responses of our current government and this political election campaign ‘My Canada’ is showing our vulnerability as well as our reluctance to do the right thing in the face of tactics that are based on fear mongering rather than evidence, human rights principles and our own Canadian Rights and Freedoms. 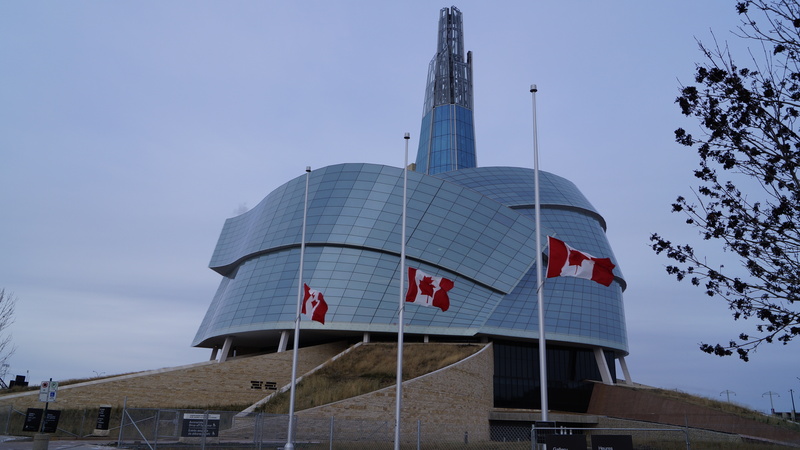 Had our current Prime Minister ever taken the time to visit our Canadian Museum of Human Rights he perhaps would identify how precarious civil liberties are. He perhaps would recognize his reactions to the Syrian Refugee Crisis is all to similar to the response of our Government during the Jewish Refugee Crisis of World War II. It was 1939 and 907 Jewish refugees aboard the German transatlantic liner St. Louis were seeking sanctuary from Nazi Germany. 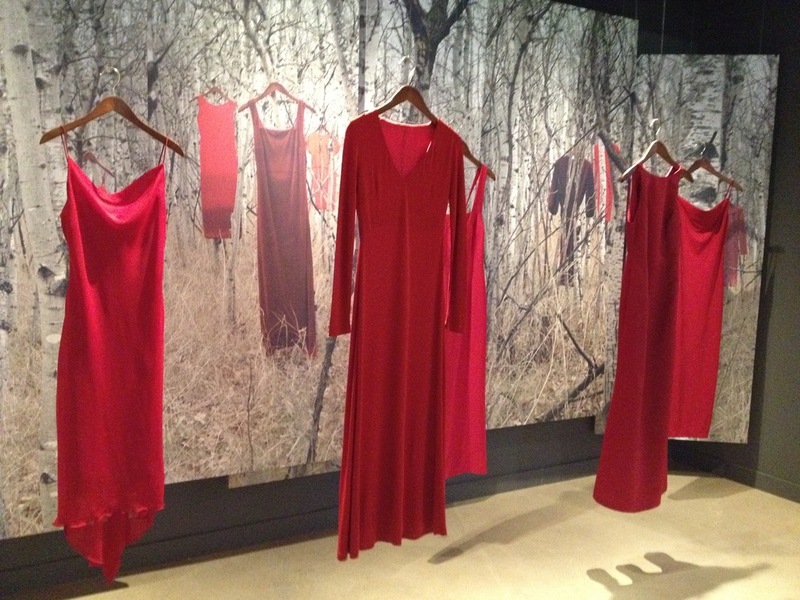 Canada refused to take them in and the ship sailed back to Europe, where 254 would later die in concentration camps. During pre and post war Canada from a historical perspective there was strong public opinion that supported Canada’s refusal of Jewish Refugees. Anti-Semitism resulted in our Government and many countries around the world refusing to accept Jewish Refugees. The result was the systematic, bureaucratic, state-sponsored persecution and murder of six million Jews by the Nazi regime and its collaborators. We certainly cannot change the past but we can learn from it. Our current government response and the response of our Prime Minister although similar to our government of the 1930s has one major difference. The difference today is that public opinion has called for our government to do more. Our government hides behind ‘Safety and Security’ to justify their inaction. Breeding fear, rather than leading our nation in this humanitarian crisis. “We have this leadership that is appealing to our base instincts of fear, hatred, selfishness, greed. That’s what our government is doing to appeal to voters. And I think we’re better than that. I know we’re better than that,” he said. Mia Rabson in the Winnipeg Free Press wrote an excellent article called Niqab debate distracts from actual women’s issues in Canada . What has become a hot topic in this election campaign; especially in Quebec; is about two women who refused to uncover their face. Two of over 700, 000 new Canadians since 2011. Citizenship and Immigration Canada says since the rule barring the face coverings from being worn took effect in 2011 two women have been refused the chance to take the oath of citizenship because of it. Yes, read that again. I said two. First of all the rule barring the face being covered took place during this government’s mandate. Let’s be clear these woman were more than willing to show their face to a female official before taking the oath. Willing to prove their identity. Whether we agree with the idea of the Niqab is not the issue here. The issue is about freedom of religion, faith and beliefs. These two woman were not jeopardizing Canadian safety or going against Canadian values. As a matter fact when taken to court, the Supreme Court found that the rule barring face covering did not meet the standards of the Canadian Charter of Rights and Freedoms. In fact becoming a Canadian should have made the wearing of the Niqab a choice, a religious freedom. Just like the other rights of education, language and all other rights found in the Charter of Rights and Freedoms. The Supreme Court of Canada supported this right. Our Prime Minister is dividing us on issues. Human Rights issues. Issues that make certain religions and practices acceptable and others unacceptable. Even the NDP leader Thomas Mulcair has softened his support of the wearing of the Niqab in an effort to regain votes in Quebec after poll results showed his support for these woman lost him favour. The playing of politics at the expense of our Canadian Charter, at expense of human rights is taking us down the wrong path. Despite the Supreme Court ruling our Prime Minister is playing the politics of fear and hatred. The Prime Minister has vowed to fight the Supreme Court decision. What other rights are in jeopardy at the expense of politics and the economy”? We have the issues related to the freedom of our Canadian Scientists. In one of my past blogs called Canada: What is it We Believe In? I discuss how Canada’s decision-making processes is no longer evidence based but fear and ideologically based. It jeopardizes our future economy, health and environment. Democracy is at risk if we deny the public to information. 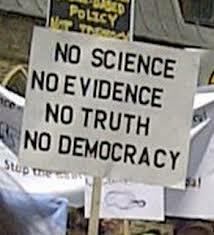 If decisions are made without providing the people you are elected to represent access to data, research and evidence. Freedom of Information is a fundamental freedom that in a real democracy we all should have. Our voices are being silenced as we are asked to believe what is said without the evidence to support it. Our current Government has made comprehensive cuts to our research budgets and made it more difficult to share the data collected with the public which undermines our basic fundamental rights as Canadians..
We also have the tragedies of all the ‘Missing and Murdered Aboriginal Woman’ which in an RCMP report on the issue gives evidence to our countries need to do something about not only Missing and Murdered Aboriginal Woman but the violence against all woman and as per the RCMP report especially woman in poverty. 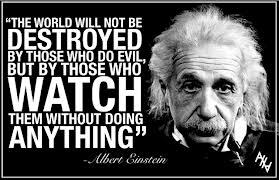 In one of my previous blogs called Bystanders to Neglect and Violence I discuss our need to understand our responsibility to protect all our children and vulnerable citizens. We need to all believe everyone is born equal and we must work together to find a way that we remain equal no matter what race, culture or circumstance we find ourselves in. However our current government continues to ignore the human rights issues of our vulnerable citizens. ‘It isn’t even on our Radar’ he has been quoted as saying. How does something identified as a health problem of epidemic proportions not end up on our radar? The United Nations has deemed the state of our reservations in Canada are like those in third world countries. A UN investigator has indicated it is a crisis. Today is another day in the election campaign and we need to have our voices heard. To stand-up for a caring, compassionate Canada. A country not ruled by fear but rather of hope. A country built on creating a future for all Canadians as well as understanding our role in the world as peacekeepers rather than a country that sees war as the road to peace. Canada had built a reputation as a country who could build consensus. A country that could listen to both sides and try to bridge the gap and bring people together. A country that made the world a better, safer place. I want that Canada back. I know I am not alone. There may be people still deciding who to vote for and unfortunately there are still a large number of people who may not vote at all. Those individuals are most likely the young and marginalized. It is important that everyone vote. On the surface it may appear that politics and the promises don’t impact you but in reality, Canada is changing. We are in time when our current government policies are divisive and favour a small segment of the population. The Conservatives and our current Prime Minister boast that they are the only party that we can TRUST with the economy. 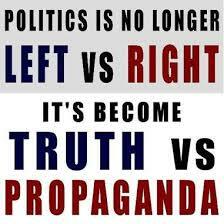 In this age of information it is often hard to get through the Propaganda to the Truth. Propaganda: Conservatives and their Low Corporate Tax pledge is good for Canada. They are promising more of the same. Is it good for all Canadians. Canada’s combined federal-provincial corporate tax rate is now 26%, far lower than the 39% rate in the United States. At tax time, corporate insiders get to play by different rules. They only pay tax on 50%of their stock option income. Just as a note: If you or I got a bonus or a cash buyout we would have to pay at the designated Progressive Tax Rate based on our income. 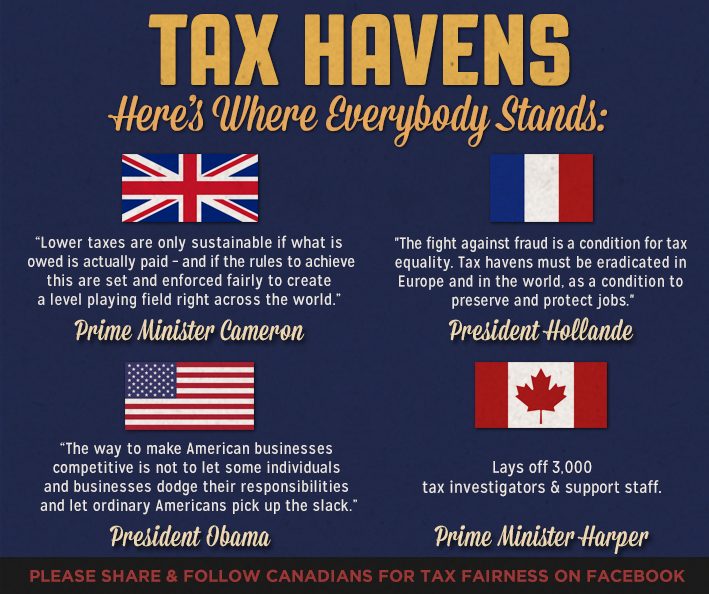 There is $199Billion of Canadian money in the top ten tax havens. Tax cuts are not for us: In 2014, for the first time in Canada’s history, more than half of the federal government’s revenue was shouldered by personal income taxes. Record-high levels of student debt and a post-secondary education system that is out of reach for an increasing number of Canadians threaten Canada’s long-term prosperity. Canadian youth unemployment is double that of the general population. Household Debt is a major problem. The median family owed 110 per cent of its after-tax income in 2012, compared with 78 per cent in 1999. The Risk – Current policies has put Canada in the position of the United States in 2008. A fall in housing prices (most Canadians biggest Assets), an increase in interest rates would bankrupt many Canadians. As well many Canadians are unable to put away for retirement be it in RRSPs, Tax Free Savings and many have part-time jobs and jobs without company pensions. Their sole source of Retirement may be CPP and OAS. Risk of underfunding Canada Pension Plan and Old Age Security. Our current Government see CPP contributions as a tax rather than an investment and would handcuff this government and next governments in raising CPP contributions to address the needs of the aging population. The current government has already raised OAS eligibility has already gone from 65 to 67 meaning many of us will have to work longer before we retire….This would be part of Harper’s Balanced Budget Legislation. It is important to note that there is no current research that supports providing tax breaks to the few provides long-term sustainable growth. In fact the research supports it is not only not currently working but from a historical perspective has never worked. In fact as in Thomas Piketty book Capital in the Twenty-First Century discusses at length the risk of economic and government policies that creates wealth for a few rather than works towards diminishing inequalities. It is a recommended read that reorients our understanding of economic history and confronts us with sobering lessons for today. 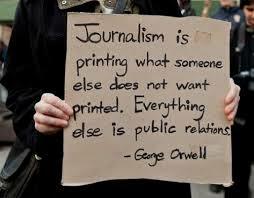 Takes us past the propaganda and a little closer to the truth. Next blog will look at where we are with Human Rights. Conservative Economic Action Plan: success or disaster? Election: What Kind of Canada Do We Want? 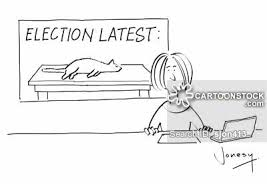 The Canadian Election campaign is about half over and it is hard to get past the mendacity that seems inherent in being a politician. Whether it be from the political posturing, negative campaign ads, endless promises to political statements that seem to lack any basis in fact. Where the goal seems to be to get elected at any cost rather than about civic and social responsibility. It is the frustration of the voter. Who do we vote for? Who do we believe? This election, like all elections comes down to deciding what kind of Canada we want. Do our current political parties, our political leaders share their vision for Canada? The Canada we need to become is not going to happen through policies and practices that are not founded in Human Rights. Creating a society that is inclusive, values people, cares about the environment, is compassionate and develops hope rather than despair will only happen with policies committed to human rights. People are recognized as key actors in their own development, rather than passive recipients of commodities and services. 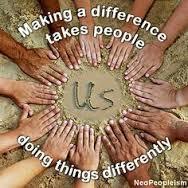 Participation is both a means and a goal. Strategies are empowering, not disempowering. Both outcomes and processes are monitored and evaluated. Programmes focus on marginalized and excluded groups. The development process is locally owned. Programmes aim to reduce disparities and empower those left behind. Situation analysis is used to identify immediate, underlying and root causes of development problems. Analysis includes all stakeholders, including the capacities of the state as the main duty-bearer and the role of other non-state actors. Human Rights standards guide the formulation of measurable goals,targets and indicators in programming. National accountability systems need to be strengthened with a view to ensure independent review of government performance and access to remedies for aggrieved individuals. Strategic partnerships are developed and sustained. Which of our current political parties comes closest to these standards for the creation of a ‘Fair and Just Society’? It is difficult to determine this through words. We must judge through actions rather than words. 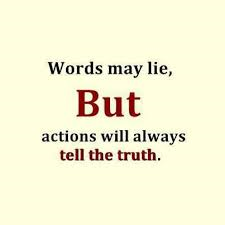 Not by what they say but by their actions and the results of their actions. Over the last ten years we have seen ‘My Canada’ have a widening gap between those that have and those that do not. 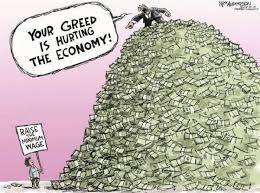 We have watched as our taxation system and the loop holes created provide off shore tax havens to the wealthy. We have seen full-time jobs turn into part-time jobs without benefits. We have watched as youth unemployment has increased. We have watched as Canada has ignored our responsibility to the environment. We must demand more from our leaders than veiled promises. We must demand to know their vision for Canada. What is your energy plan for our country? How will we create a society where we create good paying jobs for our young adults and families? Jobs with benefits? How will we create a taxation system that works to create a Canada founded on the principles of human rights? How will we create an evidence-based system? How will we create an inclusive society that provides the opportunity for everyone to benefit from citizenship? The people of Canada are a kind, compassionate and generous nation. We care about each other. We care about our planet. We care about global issues. We strive for a better world. When we vote and we all most vote, it must be a vote for Canada. A vote for humanity. A vote for a society based on the principles of human rights.